Wow… It has been one busy month of December! Between parties, Christmas shopping and decorating, and closing up the school I was teaching in, I hardly had time to blog! Never fear though, I am back with a few new pieces and they are just in time for some last minute gifts and DIYs. This year I have gone all out with the craftings and the handmade gifts. One of my ballet assistants got an arm-knit scarf, a few people are getting simmering potpourris bags, there are some pedicures in a jar (pictures to follow after Xmas for those! ), and a sharpie mug or two! I had seen a few of these on Pinterest and decided to try it on my own! 1. Glue two candy canes at a time together. 2. 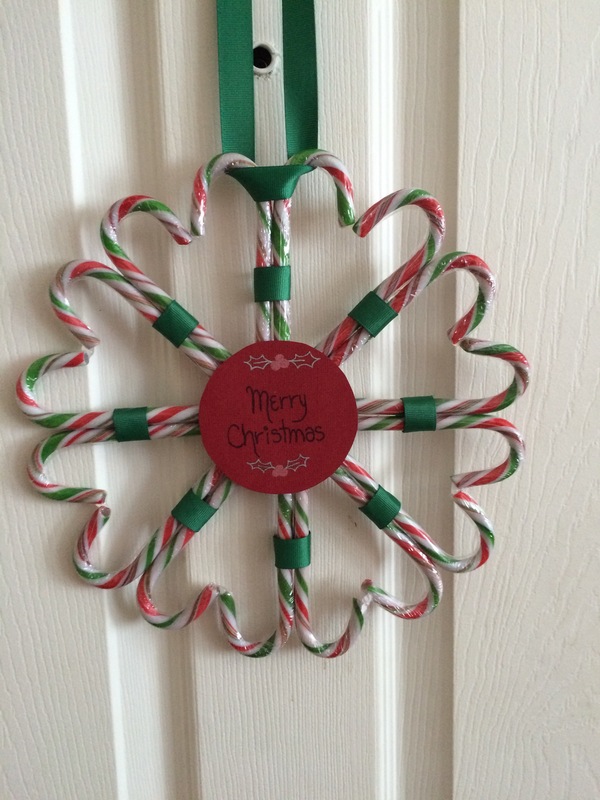 Cut out a circular piece of cardboard (I think mine was from a box of frozen chicken wings or god knows what…) and arrange the candy canes in the wreath formation. Glue them down. 3. I also glued the points together; I felt like it stabilized the wreath. 4. 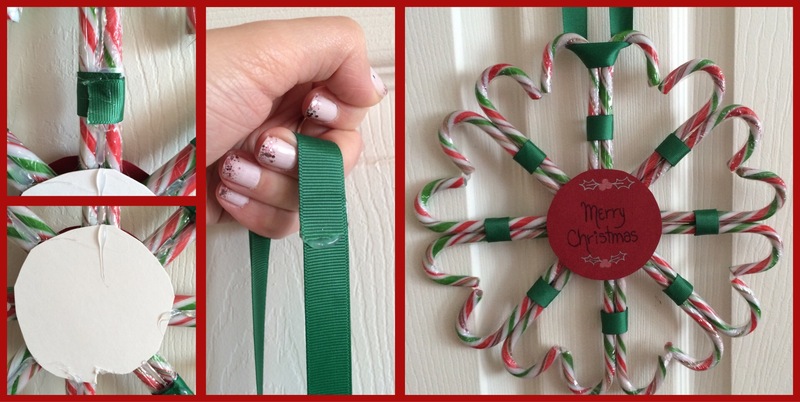 Cut pieces of ribbon and glue around candy canes – of course this is options. Also cut one long piece to create the part to hang the wreath. 5. Finally, use some Christmas paper to create the centre to cover up the glue and candy cane ends! 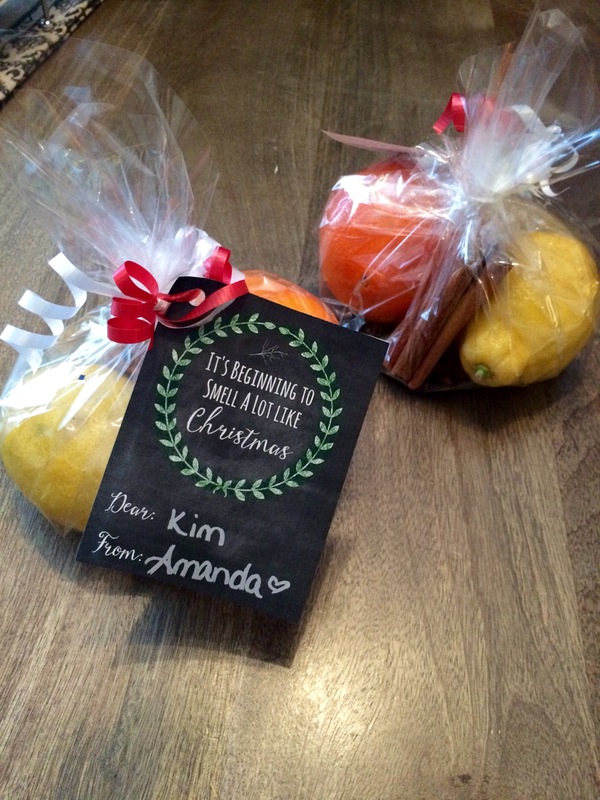 These make for wonderful little stocking stuffers or fill them with items and wrap for personalized gifts! 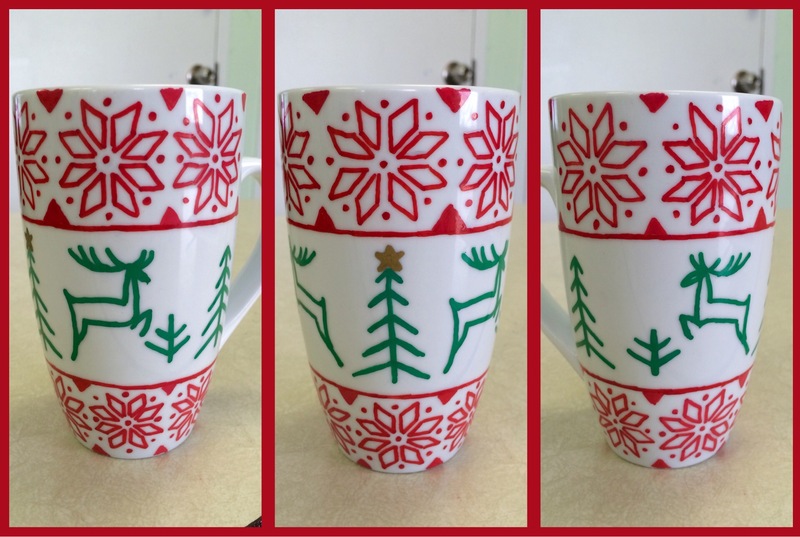 Mugs – I went to the dollar store – They work better than more expensive mugs because they have less coats of shellac for the sharpie to go through when baking. 2. Pencil can be used to plan out the mug – but watch out it easily wipes off! 3. 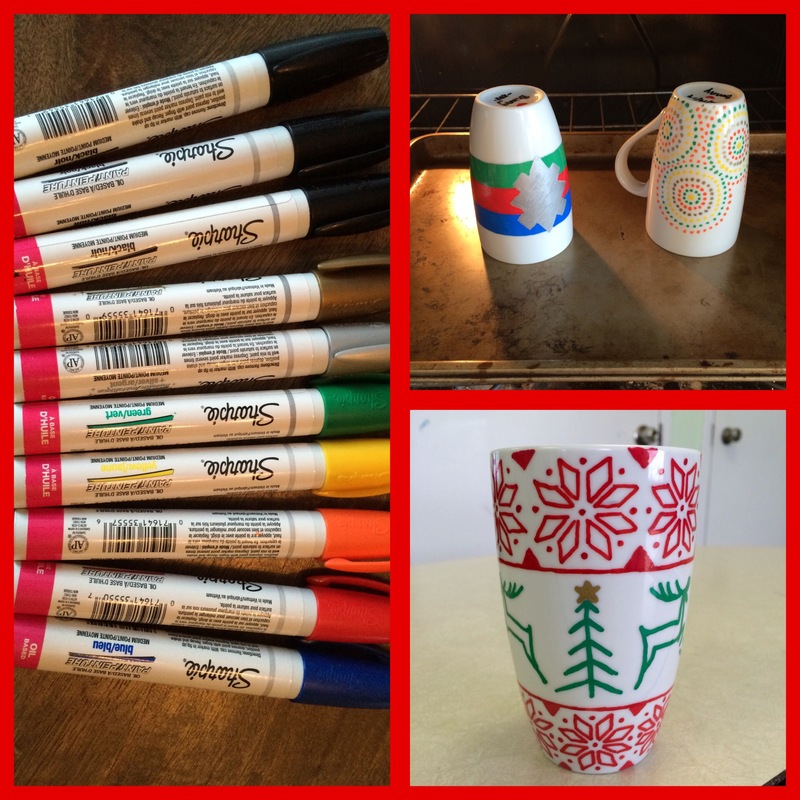 Use your sharpies to draw and colour your mug. 4. Stick them into the cold oven, turn oven to 350° and bake for 30 minutes. Once done, turn off the oven and let them cool down inside the oven. This potpourri simmers on your stove top just like my fall “Witches Brew“. However, this one has a more festive scent. Wrap one orange, one lemon and either double the amount of spices so they can make it twice or make sure to write down that it is only enough for one pot. Combine all of the ingredients with water in a sauce pan and bring to a boil. Alternatively, you can add cranberry juice or apple juice instead of the water for a little variation of scent. Reduce heat and simmer as long as desired. Add additional water as needed to prevent the mixture from drying up. When done, this can be stored in an air tight container in the refrigerator and used again for up to a week. Leave for coworkers, a teacher, or neighbours! Merry Christmas all and Happy Craftings! !